This historic home is ideally situated on a CORNER DOUBLE LOT in close proximity to shopping, downtown, and other amenities. Same architect that designed Trinity Lutheran Church designed this home! The custom-built, ONE-OF-A-KIND house features an attached garage, a poured concrete basement, and a concrete/I-beam main floor. 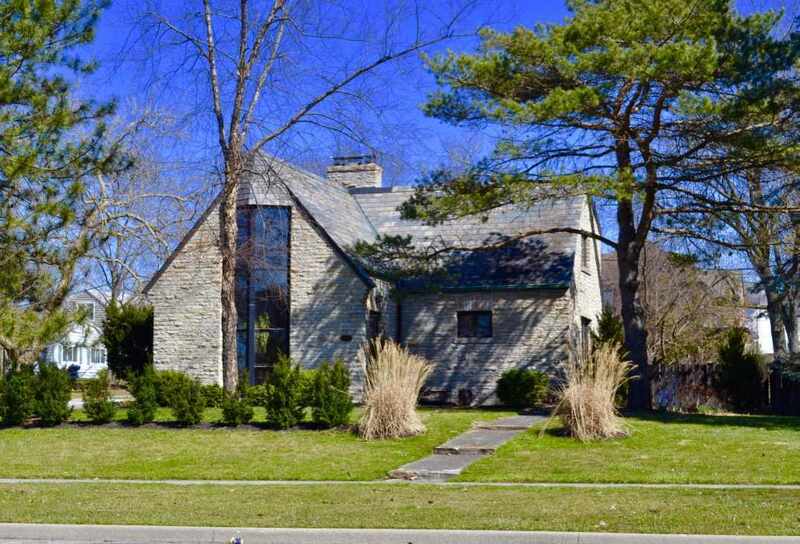 The concrete exterior walls are finished with SOLID LIMESTONE, and the house is topped with a SLATE ROOF which has been professionally maintained. Inside, many original features have been well maintained or restored, including kitchen cabinets, two marble-trimmed working fireplaces (living room and basement), marble window trim throughout, walnut and oak exterior doors, solid walnut parquet floor (living room), solid walnut plank floor (2nd floor bedrooms, landing, and stairwell), and steel floor/wall tile (2nd floor bath). NEWER: 2-STAGE STAINLESS FURNACE (&apos;09) * CENTRAL AIR UNIT (&apos;09)--both units maintained by Zink Mechanical * Refrigerator (&apos;12) * Water Heater (&apos;15) * Complete Master Bath Renovation w/Rainfall Shower & Medicine Cabinet * Solid Oak Floor (master bedroom) and Fresh Paint throughout. Landscaping upgrades include NEWER: CEDAR FENCE, 4x8 Storage Shed, Playset, and numerous trees/shrubs. SEE MORE COMMENTS ABOUT THIS HOUSE IN ATTACHED LETTER FROM THE SELLER.